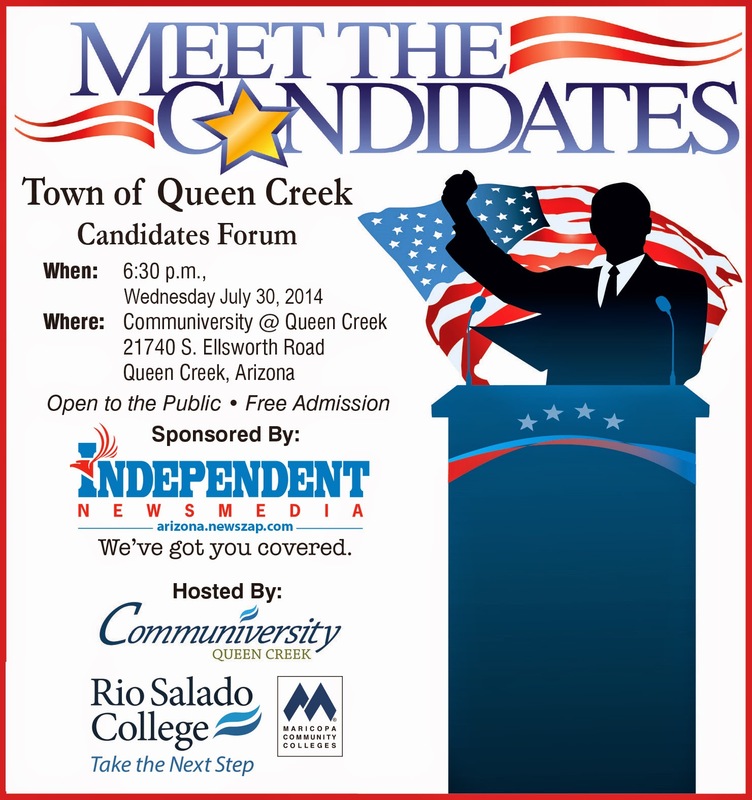 Meet the candidates running to fill three spots on the Queen Creek Town Council on Wednesday, July 30 at 6:30 p.m. The eight candidates are: Lanny Brown, Del Caron, Larry Chesley, Jason Gad, Dawn Oliphant, Kyle Robinson, Emilena Turley and Julia Wheatley. QC Mayor Gail Barney is running unopposed. Rio Salado College and the Communiversity at QC are proud to host this candidate forum presented by the Queen Creek/San Tan Valley Independent. For more information, and to suggest questions for the candidates, e-mail qcnews@newszap.com.